Thompson Wilson provide both Full Building Surveys and Intermediate Surveys on properties of all ages, sizes, style and price. We produce a report tailored to your particular requirements, with a prompt and professional turnaround. A Building Survey is recommended for older buildings (pre-1920) as well as larger buildings and those of unusual construction. Thompson Wilson make building surveys clear and simple, setting out exactly what they entail from day one. 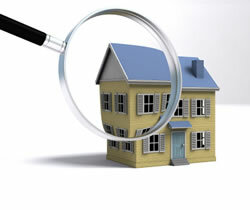 In our view, an Intermediate Survey is best suited to buildings built post-1920, or those of limited accommodation, i.e. 4 bedrooms or fewer. An in depth inspection of the building by one of our experienced Chartered Surveyors. A detailed report on the buildings construction and the materials used. Full details of all defects noted, explained in plain English with photographs where appropriate, backed up by recommended remedial works. Approximate costing's of all required repairs. Comments and analysis of the Energy Performance Certificate provided by the Estate Agent or Vendor. A separate, tailored section with advice for the purchaser's Legal Advisor on items that need attention. Sectional drawings of a building to enable easy interpretation. A full summary of all findings, together with final recommendations. Thompson Wilson know one size doesn't fit all so each survey report is written from scratch to meet the individual requirements of the client. Limited building inspection in accordance with Terms and Conditions made available to the Client prior to the start of the inspection. A detailed report on the buildings construction and materials used. Full details of all defects noted, explained in plain English with photographs where appropriate, backed up by recommended remedial works. A separate, tailored section with advice from the purchaser's Legal Advisor on terms that need attention. Full valuation of the property, giving current market value. A full summary offering any recommended actions. For further information, contact Keith Thompson FRICS, on 01844 273399; or by sending an email totw@thompsonwilson.co.uk. "Each survey report is written to meet the individual requirements of the client."